Assif Mandvi (“The Daily Show with Jon Stewart,” “Avatar”) stars in a droll and heart – melting film of his own creation that takes universal themes and prepares them in a fresh and innovative way. Inspired by Mandvi’s Obie Award winning play, “Sakina’s Restaurant,” “Today’s Special” follows the fortunes of Samir, a talented sous chef who is passed over for promotion to his dream job -head chef at a trendy Manhattan restaurant. Not enough creativity, he is told. He impulsively quits, telling his co-worker, Carrie (nicely played by Jess Weixler, “Teeth”), that he will head for Paris to work with a famous chef (who is yet to be determined). Going to Paris would also provide him with an ocean of distance from his Indian immigrant parents, whom Samir always seems to disappoint. He has been estranged from his father (Harish Patel) since the death of Samir’s older brother. His mother (played by the famous Indian cooking guru and actor, Madhur Jaffrey), is consumed with finding an Indian wife for her remaining son. Samir is a creature of Manhattan and dreams of international celebrity chef-dom. In juxtaposition, Samir’s traditional Indian parents live in a working-class neighborhood in Queens and run a nearly bankrupt Indian restaurant there. After his father’s heart attack, Samir is forced to take over the family restaurant, although he knows little about Indian cooking. Serendipitously, he meets Akbar, taxi driver, passionate chef and worldly raconteur (Naseeruddin Shah). Akbar inspires Samir, encourages him, as his father never had. He teaches Samir to cook using his senses rather than relying on recipes, to stop measuring out his life with coffee spoons and to start relishing it. With Akbar’s guidance, Samir gains confidence, love and culinary acclaim. Samir’s mother, acted by Madhur Jaffrey, the author of over twenty Indian cookbooks, never enters a kitchen in the movie, but her acting is spot on. Naseeruddin Shah, as Akbar, maintains the exact measure of exuberance. Harish Patel, as the father, is a believable three-dimensional figure. As I watched “Today’s Special,” I wondered whether the film would have seemed more formulaic had the family’s ethnicity been the more commonly filmed Jewish, Italian or Greek. But, I decided, no. The film is delectable not because the family is Indian. Rather, it is the writing, the subtle humor, the character development and the drama that makes it sweet. “Today’s Special” explores the relationship between food and love, work and creativity and family and self. 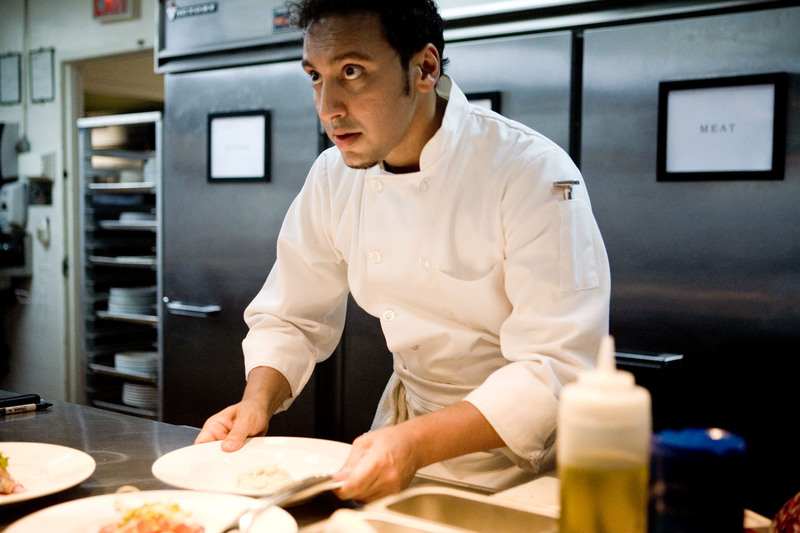 With a delicate touch, Aasif Mandvi has whipped up a delicious film, a heart-warmer sans clichés.